Neverwinter fared… not so well last week. Only 28.7% of you fessed up to liking it, with a near-identical 24.4% on the hate bandwagon. That’s down a significant bit from PWE/Cryptic’s other large-ish MMO, Star Trek Online, which netted a 37.4% Like rating. We’d do Champions Online, but we’re afraid it’d only get 12 votes. Let’s shift from hunting orcs to hunting terrorists… or maybe terrorist orcs? Nah, Ghost Recon Phantoms doesn’t have any orcs, but it does have some of the best military shooter gameplay you can get in a F2P game. Is that enough to earn it a positive rating? 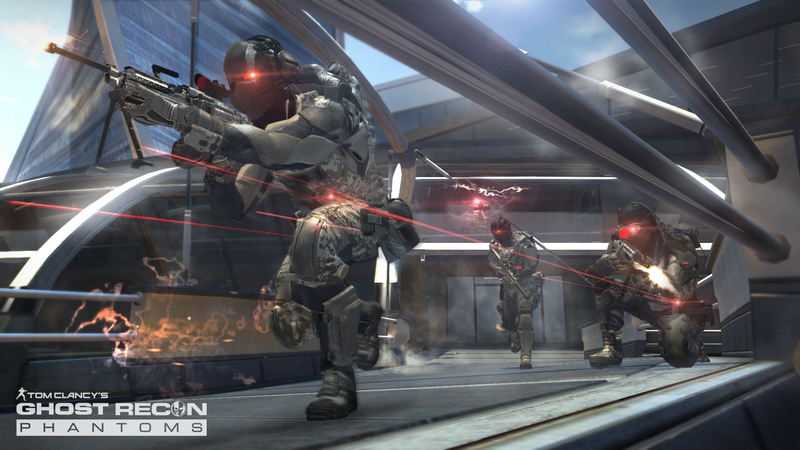 Tell us what you think of Ghost Recon Phantoms, and leave a comment below to expound upon your views! Let me give my review for the game(if there’s anything im wrong at my review you can reply or not)1st of matchmaking. now matchmaking is unfair at the time but team balance is not really a problem cause it’s a team base game so you need to work together (that’s because you’ll mostly win if you cooperate even if the enemy has a higher tier weapon) though matchmaking is slow cause player population is low so you’ll get thrown to higher tiered players.2nd Gameplay gameplay is similar to other TPS but with bits of differently styles and settings and i don’t have any problem with that though there is a little bit of problem the camera won’t change view unless you go to a cover so it’s hard to manuver. 3rd game modes there’s only 3 game modes deathmatch/team deathmatch and conquer now there’s a problem with deathmatch/team deathmatches is the spawns some of the time you’ll be(literally) spawned in front of an enemy player.4th the cash items now weapons isn’t tipically unbalanced because you’ll just unlock the higher tier weapons when you level up(obviously) The only problem is that they made premium weapons available to lower leveled players ( a little problematic especially to FTP players) which changes the balance of the gameplay (over a small portion only) now the last is the poorly executed special skills (such as the cloak). pay to win a a boring version of CS whit lines and tactics….. nothing to see here is a “tipical f2p mmo? fps. PAY TO WIN at its finest! Imagine if World of Tanks’ matchmaking system were to start pitting newbies in Tier III tanks against Tier X tanks because there is nobody in between. Also, you essentially can’t advance past tier IV because of a $20 paywall. Not only that, but there are superior versions of Tier X that are only available for cash. And on top of all that, THEY’RE STILL ADDING MORE TIERS, further exacerbating the already gaping chasm in the playerbase. That’s this game in a nutshell. Broken and pay-2-win to the extreme. is that TPS? no its chess! all players hiding behind obstacle and waiting someone’s pop out to shoot them…..third person shooters so S U C K + that stupid lines connected to all team….